A body matching the description of a woman missing since May 2017 has been found in Earp, CA. 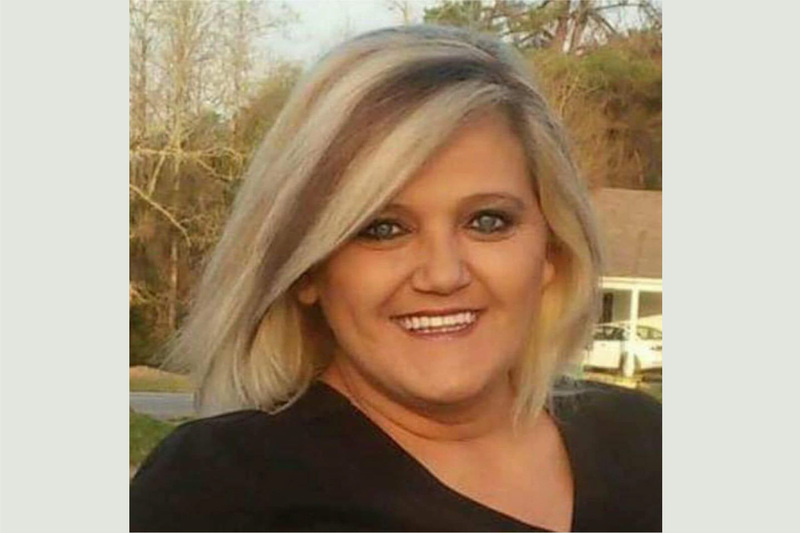 According to Sandy Giles’s daughter Kendall, the body was found just 10 feet from the side of Highway 62 only 800 feet from where Sandy’s car was discovered last May. The body was decomposed but matches features including bleached blonde hair, dentures, a cigarette case and keys. It was discovered by biologists researching desert reptiles and will now be sent to San Bernardino for a confirmation of identity, using DNA and dental records. No cause of death could immediately be determined. Sandy’s disappearance near Parker, AZ prompted news stories, search parties and interest from all over the country. She had been on a road trip to California from her home state of Alabama. 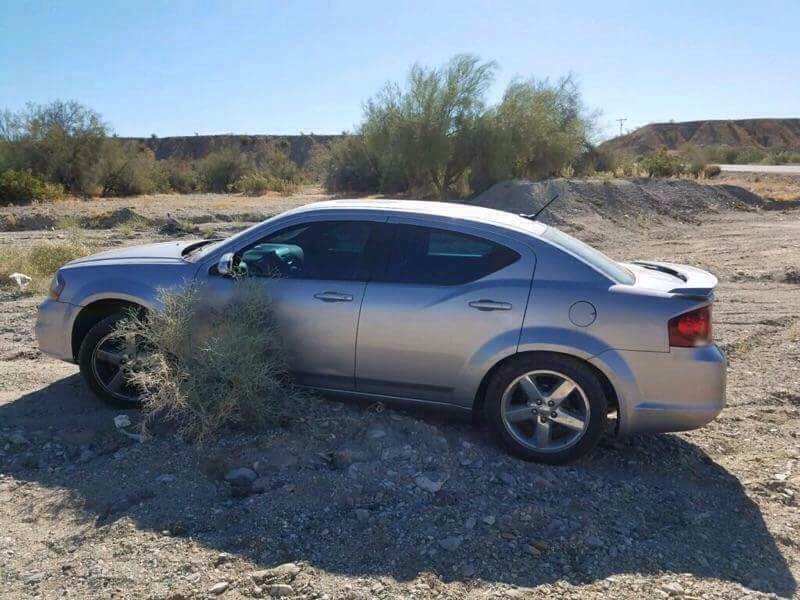 It is not known why she made a detour to the Parker area, but her car was discovered a few days later parked in a desert wash just off the roadway. The body was found toward Parker from the location her car was discovered, according to Kendall, indicating that Sandy may have been walking toward the town. She had called family members earlier asking if they could send her money for fuel. Does not sound like they did a good search back in May something does not sound right about this. I agree something is not right about that. It says the road was scraped before the search so it may have covered her with dirt. The cops never brought dogs out. Condolences..its sad that a search and rescue team,if there was one did not find her body! I feel so sad for the family. I’ve followed this story from the beginning – but something just isn’t right about this. Okay, so they scraped the road. Even if she was covered at that point in time. There has been rain! There has been monsoons! Just so absolutely sad they didn’t find her sooner. My prayers to the family. RIP Sandy. RIP prayers for her family and friends. This is so sad. Prayers for the family. I was thinking same thing! And people driving past didn’t smell anything. I’m sorry but this story is a little strange. This is a wake up call to La Paz County and San Bernardino to have Cadaver Dogs. So next time the family is spared the anguish of waiting. My heart goes out to this family. They should of had the right help to find their Mom. God bless her family. Sandy will forever be in the hearts of many. I still think the chippy that last saw her is #1 suspect. I just posted it last night @2am…. So…..did they grade the road BEFORE or AFTER her car was towed? Jean Baker Cameron seems like tampering with a possible crime scene? And how does the “clearing” of these little ditches work? Is there a regular maintenance schedule? Or, did they see that a car had been lodged there and decided “hm, guess we better fix that, let’s get right on it…like NOW”? So many questions. Wtf a search team must not looked to far and a border patrol by there makes no since missing her. Did any of you go put and help them search. Maybe you could of found her sooner if you did. That car was there A WEEK and the DAY it’s removed and the occupant is REPORTED MISSING…they GRADE THE AREA?!?!! And COVER UP the body…some thing is NOT RIGHT. I bet they give “undetermined” as cause of death. This is not the time for criticism of the search party or law enforcement (for those criticizing were you there to help search? )…..this is the time to offer healing and comfort for Sandy’s children and family!! there were 8 of us searching. That is all that showed up. We aren’t experts we were concerned citizens. The roads were already done and the washes too. Such sad news……. :( I hope they can bring her back home to Alabama now – where she belongs. My prayers are with all of her family, friends and loved ones. I know I will probably comment excessively on this. I can’t help it. This is unsettling in so many ways. First and foremost an innocent women lost her life and a family is devastated. My hearts aches for her family. I can’t fathom the anguish. Prayers to all that knew and loved her. Second, I’m pissed off. HOW THE HELL DID THIS HAPPEN?! If the last known person that saw her (the CHP) was SO CONCERNED when he heard her car was there, WHY would he immediately start looking in hospitals instead of securing a possible CRIME SCENE? Is it because, as he has stated, he knew she had an inhaler and breathing problems? He also stated he asked her if she wanted to go to a hospital, right? He was so concerned, didn’t he follow her to the Parker turn off?? Which was going in the wrong direction for Alabama. Why dismiss the car location and allow family access to the car before fingerprinting? Third, I’m scared as hell. We have a vacation home we saved a life time for less than 3 miles from where this happened. I’m pretty sure I can predict the outcome. They will conclude she most likely had respiratory distress. Any injuries will be determined due to her body possibly being disturbed by the tractor that accidentally covered her up. No one will even be suspect. YET…that stretch of road is traveled by commuters DAILY. I actually drove in to Parker the day they towed the car. Saw it up on the berm and two service type trucks there with some men standing right damn almost exactly where they are saying she was found!!! So very sorry for the loss of this lovely woman. The body was not buried and was not 10ftoff the road and wasn’t toward Parker. It was the other direction..
I’m going assume the police are still working the case. This is for those of you that keep bashing the concerned citizens of our community that went out and searched for Sandy. However we all feel horrible about the outcome. The 8 of us that showed up. Not an experienced bunch as others think they are or would have been. You didn’t help so please as a outsider that was not there keep your negative thoughts to yourself. You don’t even know. Layne Cruz……sounds familiar, huh? Dumbass so called search and rescue we have…..
Next time go out yourself. Thank you!!!! I have been saying that since the day I saw her missing. Yeah they did it so fast and that’s why it was suspicious!!! The day after her car was gone they did it!! They did literally DAYS after . It was bs. They need to talk to the county workers. Because they didn’t even do ANY washes but that one. Yes the family should of had much better help looking for her, California should of called out a search and rescue. Wake up call for California you mean as this was in California. La Paz county is in Arizona they wouldn’t be out there looking it’s not their jurisdiction. And border patrol wouldn’t be out there either even if they lived down the street without the request of a California agency asking for another agencies assistance. So if you’re gonna blame the law enforcement agency blame CA. I’m wondering how the researchers saw her and no one else did? We have been by there all summer long.. So sorry we did not see her.. I pray that you and family have peace now . So, so very sad ! May the Lord embrace them, during their time of Sorrow. I wish them all my prayers. If San Bernadino was involved then I’m surprised that ANYTHING at all was done. So very sorry for your loss. Brenda- Not an error. Ten feet off the roadway, 800 feet down the road from where her car was found in May. I didn’t know Sandy personally but I have several friends that knew her. I’ve seen their posts, I’ve read most articles on the story. This is so tragic. Knowing they were so close to where she was and not actually finding her. I’m having trouble believing she was there the whole time. I’m wondering if she wasn’t hit by a passing car. I hope the family gets the answers they are searching for. Prayers for her family and friends. I wonder if she was hit by a car while walking for help?? Autopsy broken bones?? This is another great example of how “thoughts and prayers” do nothing. I still can’t believe the cops have not located Amelia Earhart after all these years. Fire all of them! San Bernardino’s Needles Office is not that large. Only so much manpower. Expecting every department to have cadaver dogs is ridiculous. This is very unfortunate but to blame others for not locating someone every time every place, especially when it is the open desert. Come on man! I think she probably ran out of gas and starting walking toward parker. not being use to our heat made a last ditch effort to stop a vehicle by standing in the middle of the road and was struck by probably a large truck. the gas gauge on her car. might be asking too much. Based on the 10 by 800 foot calculation of where her body was found and the reasonable assumption that Sandy Giles body did not lay there along the road, covered by dirt/sand, for 6 months, do you know if the owners of that RV/Boat junkyard right where she was found were questioned and if so, did San Bernardino get a search warrant to bring their cadaver dogs onto that property? No one can seem to get any science out of this supposed “Forensic Autopsy”. If Sandy was held captive on this property for any duration of time, a 1st year Forensic Scientist could rule this property out very quickly. Of course with that said we would have to presume San Bernardino has someone or people of this caliber, so far there is no evidence that San Bernardino has that expertise. Also, it does not appear that these kind and loving people in Alabama, ie, Sandy’s family, have an Attorney who could force the issues instead of this case just going cold.